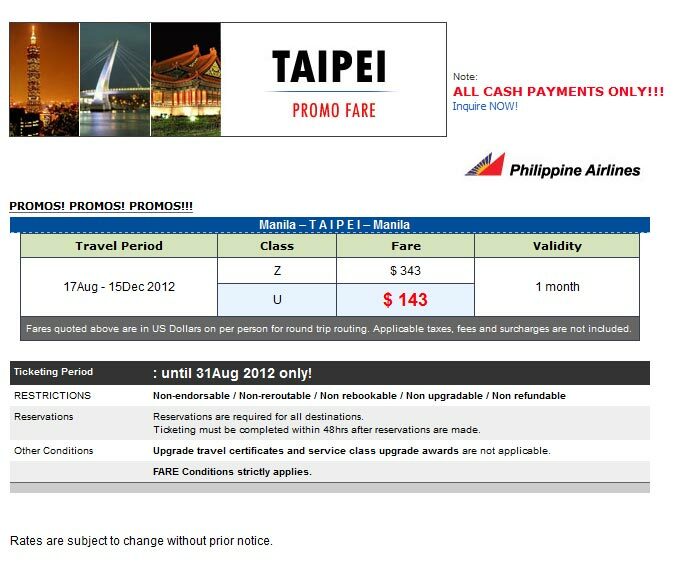 TAIPEI Promo Fare (Philippine Airlines) – Ticketing Period: until 31 Aug 2012 only! This entry was posted in Asia, Book with Us!, Taipei, Ticketing and tagged bridges travel, philippine airlines, promo fare, taipei. Bookmark the permalink.